On November 16, Nepal were chasing 183 against Kenya, who were favourites to win the Group B encounter in the ICC World Twenty20 Qualifier in Dubai. They needed 17 runs off the final over. In the middle were the captain, Paras Khadka, and Sharad Vesawkar. As soon as the tall Vesawkar hit the first of three sixes to win the match, his team-mate Sagar Pun began to cry. 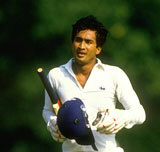 Pun, a 20-year-old batsman, was padded up because he was the next man in, and he cried louder as Vesawkar took Nepal closer to the target. “Matches like these only bring the emotions out easily. Imagine if a wicket had fallen and he [Pun] was the next man in, what might have happened,” Khadka tells ESPNcricinfo from Abu Dhabi with a chuckle, explaining Pun’s reaction. “Everybody was so keen. Everybody was pushing themselves. Every one of us believes in fate. Every one of us believes in God.” Read the rest of this entry ? Sri Lanka Cricket South Australia and Sri Lanka Cricket have combined to sponsor a short-term training stint at the Darren Lehmann Academy for a promising young player from the island in 2014. Sri Lanka Cricket has now selected LAHIRU JAYARATNE for this course. 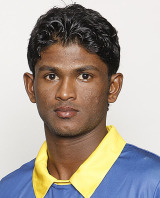 Lahiru has played for Sri Lanka Under 19s and for the present Under 23 team. 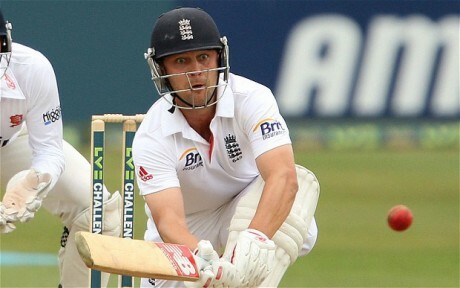 He is also a member of the A Team squad selected for the forthcoming series against England A in Sri Lanka. His official profile is detailed below. Read the rest of this entry ? 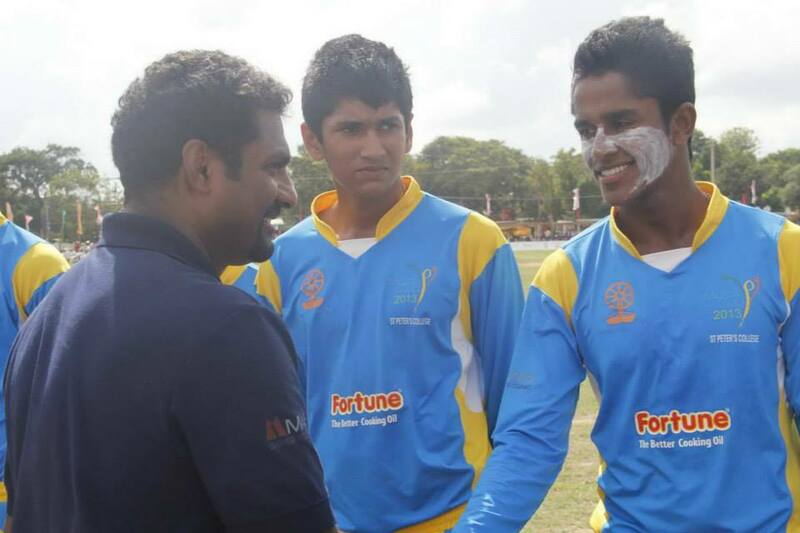 Murali greets St. Peters’ College players Read the rest of this entry ? August 1984. That rarest of beasts, a hot English summer. Grandmaster Melle Mel’s “White Lines”, the soundtrack of that summer, brought a new music, hip-hop, to the streets. I was 16 years old, on the brink of adulthood, and wherever I looked, change was in the air. Eclipsing all else was the momentous event about to unfurl at Lord’s; Sri Lanka’s first official Test in England. On a hazy Thursday morning, I joined a throng of Sri Lankan supporters at the Grace Gates. It felt as if every Sri Lankan I knew was at the match. Aunties carried foil packets crammed with patties and vadai, uncles sneaked off to the bars as soon as they opened. It had been a long wait for Test status. 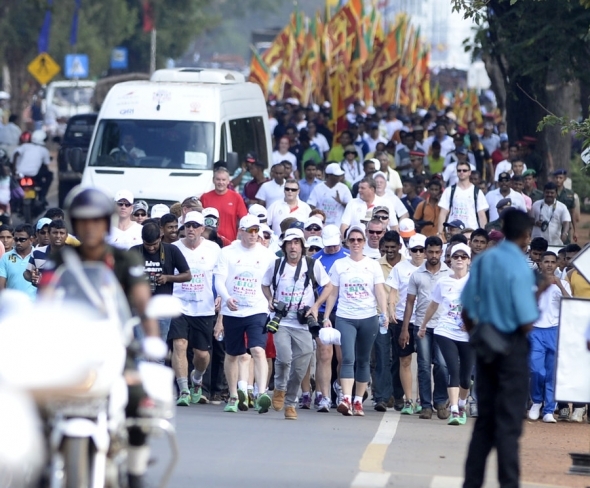 The Sri Lankans had come to enjoy themselves. For the England cricket team, playing a match against a fledgling Test country at the fag end of the summer was probably the last thing they wanted to do. David Gower’s team had been battered in every sense by Clive Lloyd’s West Indians in five brutal Test matches. At The Oval, scene of the final denouement, placards proclaimed the “blackwash”. Perhaps Gower was simply weary when he invited Sri Lanka to bat first on a wicket so placid that Ranjan Madugalle remarked, “Machang, you could go to sleep on this”, shortly before he was bowled. Read the rest of this entry ? You are currently browsing the Critiquing Cricket blog archives for November, 2013.